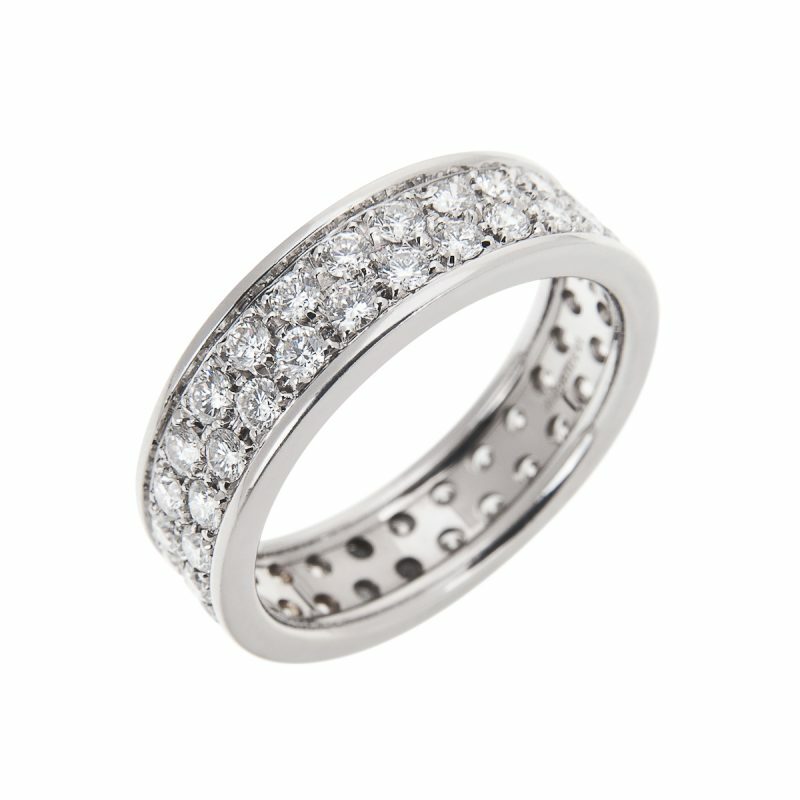 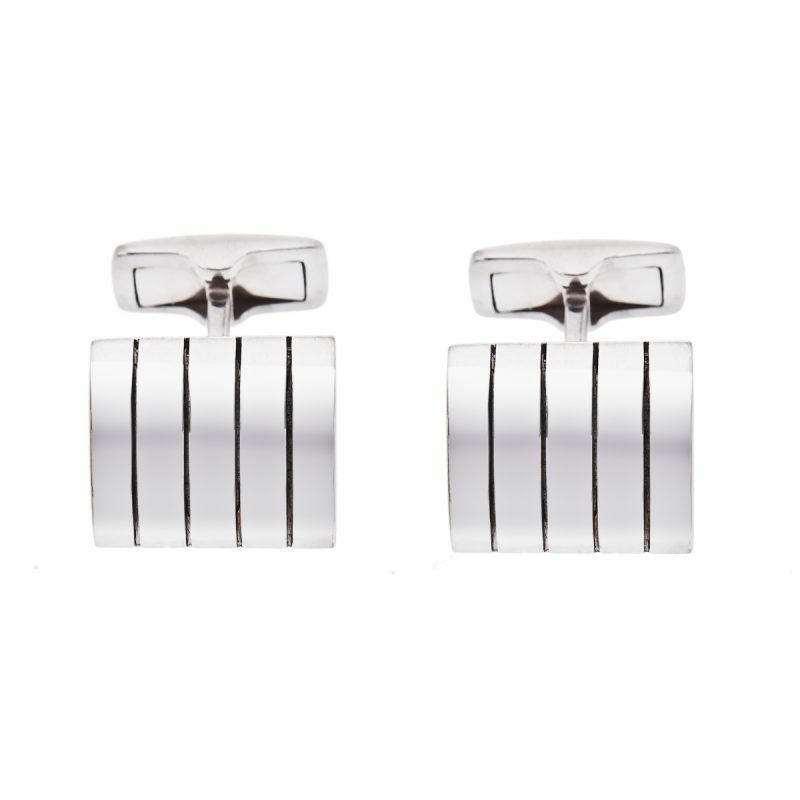 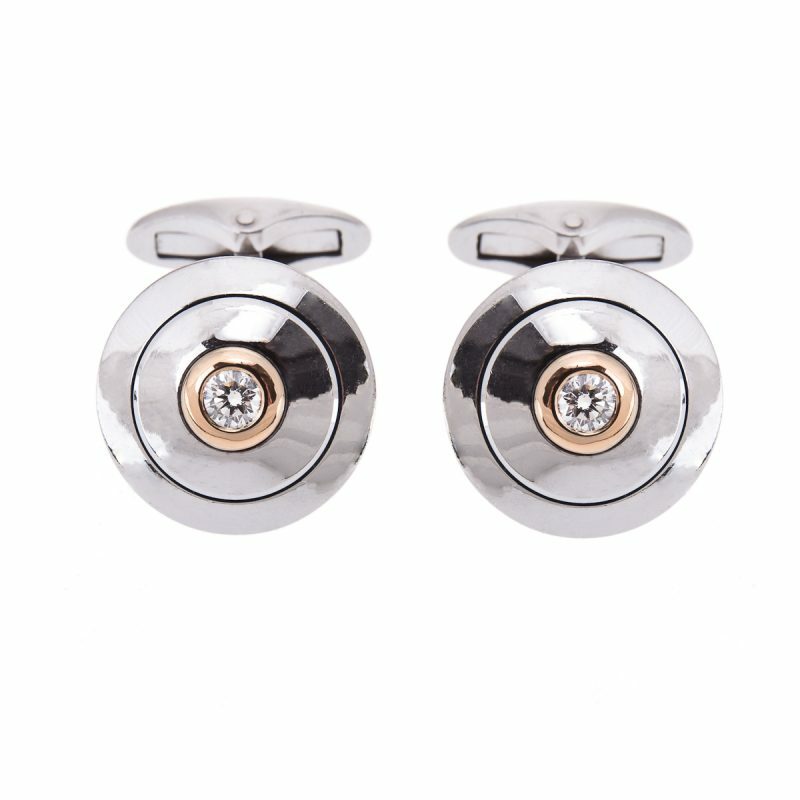 Polished rectangular cufflinks, each set with a single row of brilliant cut diamonds. 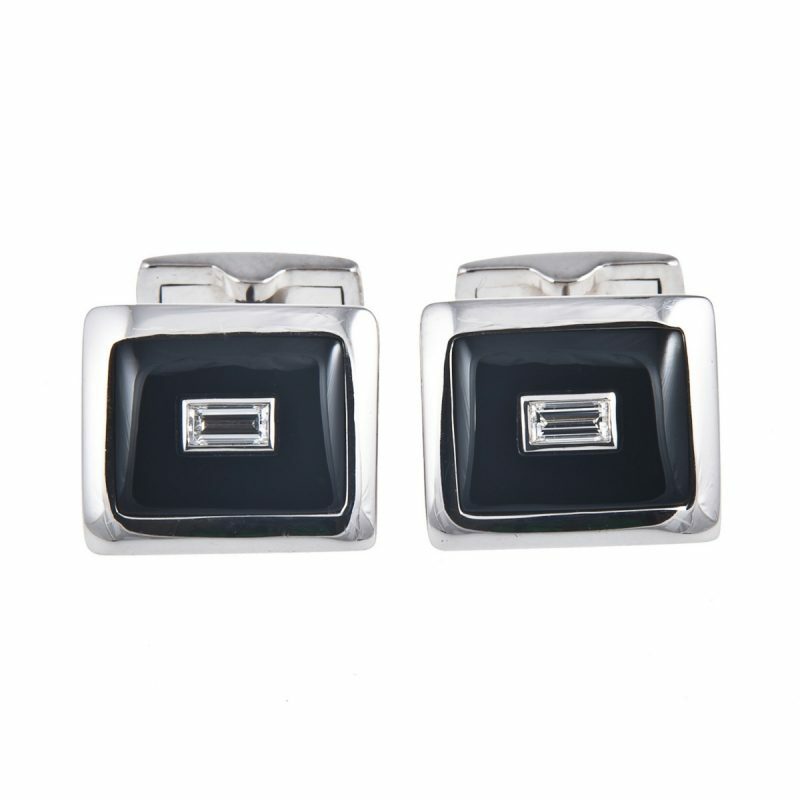 The cool sheen of 18ct white gold reflected in this pair of rectangular cufflinks and contrasted by the central bar of glittering brilliant cut diamonds. 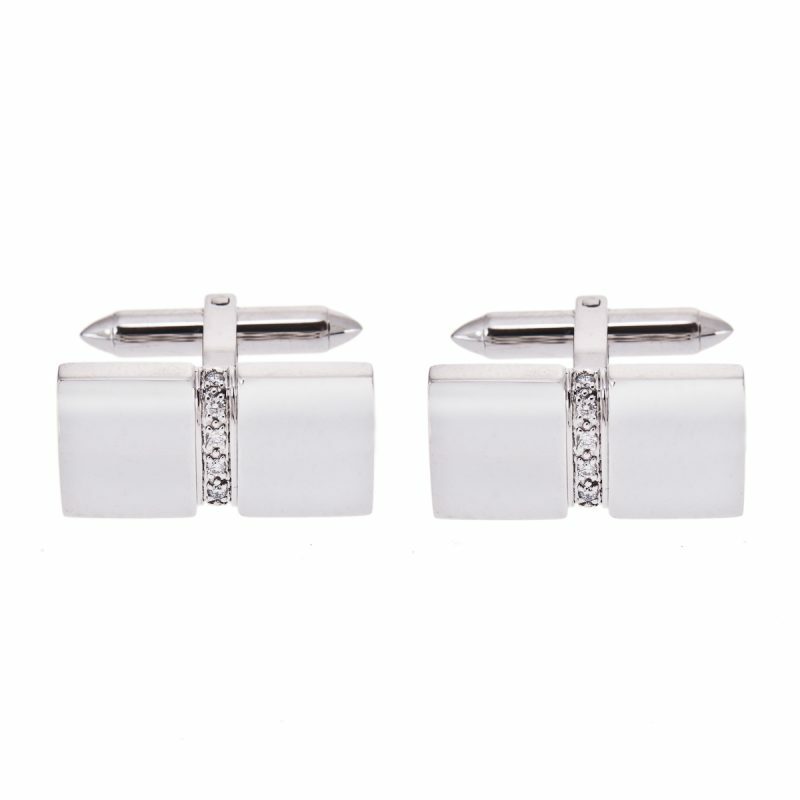 It is always the perfect time to wear them.